Last post, I wrote about the North and South America parts of our journey. This is what we have planned for the Africa and Europe legs of our RTW trip. Johannesburg doesn’t have the safest reputation as a city, and there isn’t anything there that we’re super-interested in seeing, so our current plan is to land in O.R. Tambo International Airport, and immediately catch a connecting flight to another city. This should be convenient from Johannesburg, since most flights route through there anyways. We’re considering either Cape Town or Victoria Falls. It will be the start of winter in South Africa, but with average temperatures between 8-18 degrees Celsius, I think it’ll be tolerable. Especially for us Canadians. Most of the final decision will come from how our budget’s going at the time. Since options are more limited in Vic Falls, my guess is that it will be the pricier of the two choices. Africa is where we really had to look at our wants vs needs seriously. If you do as the locals do, it’s very inexpensive, but not necessarily totally safe. 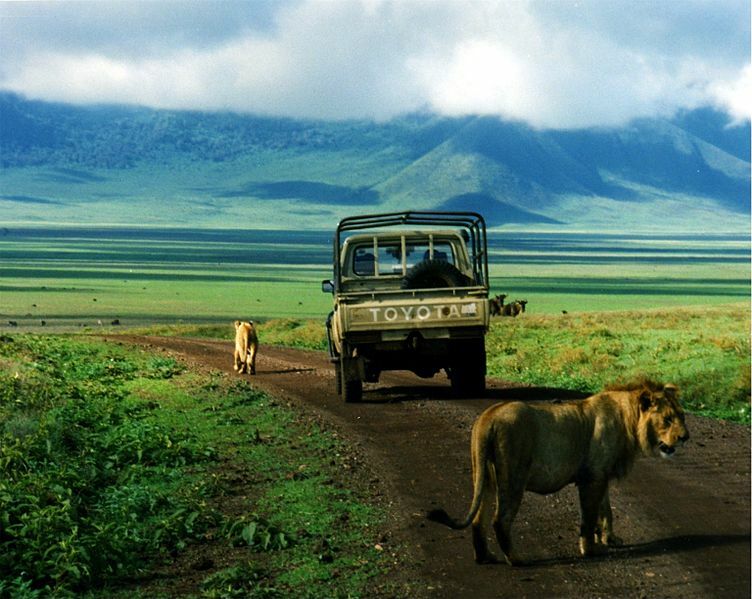 Going on safari is expensive no matter how you slice it, so while we would love to hit ALL of the famous East African safari destinations, ultimately we decided that it’s just not feasible. Even the cheapest budget camping safari runs at least $150/person/day! However, if you put energy and resources into flying all the way around the world, then it makes no sense to cheap out at the last minute. We definitely won’t be going super luxury at $1000/person/day – no matter how much we’d like to, but we won’t be going for the cheapest option either. It was a tough decision, but in the end, we decided to cut Kenya and the Masai Mara completely out of our itinerary and focus on Tanzania. Hanging out on the beach in Zanzibar is high on our list of priorities, and I think we’ll be able to do this cost effectively. This allows us to save money on multiple visa entry costs and flights back and forth between the countries. Even with Kenya cut completely from the trip, we still have at least 3 extra one-way flights to get everywhere we want to go. Once we’re finished soaking up the sun in Zanzibar, we’ll finally hit Europe. For many reasons, Europe wasn’t on our list of original destinations. Expensive and unchanging (at least not very quickly), we figured we could save Europe for when we were much older and have much more money. But alas, a combinations of factors (FAMILY!) has us heading into Europe for 4-5 months. In an effort to keep the costs down, we’ll be spending as much time as possible in less costly destinations, like Turkey and Albania. We’ll also be doing as much travel overland/by sea as we can, providing the cost benefit is worth it.